When child custody issues arise, you need the help of an aggressive yet honest family lawyer. A top attorney will make sure all legal matters involving your child are handled in a professional matter. Attorneys with our law firm have helped families get the desired legal results regarding child custody. When reading our client reviews, you will learn how we are one of the most respected law firms in Peekskill. Ideally, when a New York judge issues a child custody order, it is crafted so that a child may continue developing relationships with both parents, even though they no longer live together. Still, nothing can cause more anxiety for a parent than a child custody dispute. In any child custody case in the state of New York, you need an experienced New York family law attorney who understands your concerns and apprehensions. If you are involved in or anticipate a child custody dispute, call an experienced Westchester County child custody attorney at Kimberly Pelesz New York Law, LLC immediately. We help clients with every aspect of youngster tutelage including visitation privileges, decision-making rights, emergency issues, modification of custody orders, and enforcement. The court will always prefer if parents can agree upon shared custody of the child so the child can maintain a relationship with both parents. However, there are a few different types of shared custody. The parents may decide to share legal custody, but award sole physical custody to only one parent. This means the child will live with one parent, but both parents will be involved with making important decisions that impact the child’s life. These decisions can include how the child will be educated, what religion the child will practice, extracurricular activities the child can be involved in and anything related to healthcare. Before entering into a shared custody arrangement, talk to a Westchester County youngster tutelage attorney to see if this is appropriate for your current situation. Another version of shared custody is both parents sharing legal and physical custody of the child. With this type of shared custody, the child will split his or her time with each parent and both parents will be involved in important legal decisions. To make this arrangement possible, both parents must be willing to cooperate and get along with each other for the sake of the child. If parents live very far away from each other or in a different state, this arrangement is almost impossible. Transporting a child over the state lines on a weekly or bi-weekly basis is too difficult for most parents to handle. If you are involved in a dispute with your ex regarding youngster tutelage matters or you anticipate a dispute in your divorce, do not wait another second to contact an attorney. Contact an experienced Westchester County youngster tutelage attorney at once for whatever legal help or advice you need as a parent in New York. If two parents cannot come to an agreement on how youngster tutelage should be arranged, the matter will be brought before a judge. The judge will review a number of different factors to determine how custody should be awarded, but the most important factor is the youngster. Every custody agreement is made with the child’s best interests in mind. First, the court may take a close look at the general health and well-being of both parents. If either parent suffers from a medical condition that leaves him or her unable to care for others, the court may not award custody to this parent. Age is another factor. If a parent is too old to take care of himself or herself, then the judge will assume that this parent cannot look after a child in his or her care. If either parent has a history of using or abusing drugs or alcohol, this will impact the outcome of the youngster tutelage arrangement. Judges do not want a child to be exposed to parents who are using drugs or alcohol. The judge will determine how much time each parent has to commit to the child. No court wants to award custody to a parent who is never home or has to constantly travel due to work obligations. The more time that you can spend with your child, the more favorable the judge will look at you. If either parent has a history of domestic violence, this is very impactful on the judge’s decision. Even if the domestic violence incident did not involve the youngster, a judge does not want to place a child in a home with a parent who is prone to violence. 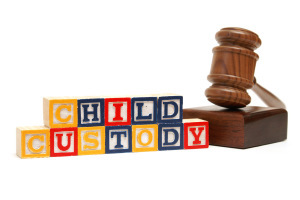 Each of these factors, and anything else that the judge believes to be relevant to the case, will be carefully analyzed to determine how custody of the child should be awarded. If you are facing youngster tutelage issues in court, contact an experienced Westchester County youngster custody attorney as soon as possible for legal assistance and guidance. It can be painful to accept that you may no longer be the one tucking your child into bed every night. At Kimberly Pelesz New York Law, LLC, our Westchester County child custody attorneys take the time and effort to understand your child’s needs and your own parenting goals. We can usually help you create an acceptable agreement for legal and physical youngster tutelage as we pursue the best possible outcome for you and your children. Each parent, if both are fit, is essential to a child’s development. New York courts presume that joint custody is usually the best custody resolution for a child, but a court will not hesitate to grant sole custody if it determines that sole custody is best for the child. If one parent is unfit, we will fight for your right to sole custody, and we’ll show the court why sole custody is the right decision. 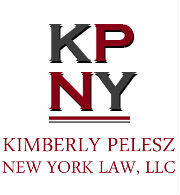 Contact Kimberly Pelesz New York Law, LLC as quickly as possible for a free initial consultation if you are involved in or anticipating a youngster tutelage dispute. With offices in Peekskill and Poughkeepsie, we serve New York clients in Beacon, Fishkill, Wappingers Falls, Newburgh, Tarrytown, Greenburgh, Westchester County, Dutchess County, Putnam County, Orange County, and Rockland County. To learn more about how an experienced Westchester County child custody attorney can help you, email us or call us promptly at (914) 402-4541.